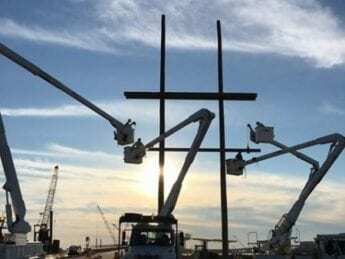 Businesses, renters and residents who lost power last summer after a transmission line was cut during construction of the new Bonner Bridge could get a share of $10.35 million under a preliminary settlement pending in federal court. The settlement, which still needs final approval in U.S. District Court, calls for payouts from PCL Civil Constructors of $8.1 million to businesses and $2.25 million to permanent residents and renters. Separate actions by numerous plaintiffs were consolidated last year into a class-action suit that led to the agreement. 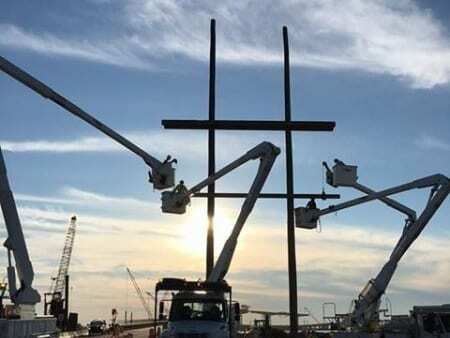 Electrical power was cut July 27 when the company building the replacement for the 50-year-old bridge drove a steel casing into the electrical transmission system running underground on the Pea Island side of Oregon Inlet. What most folks do not realize is that it was not a blackout like the media kept saying. The island was only without power for less than 36 hours. It was the best week of the summer! And now we will get paid too! Although it was work as usual for most of that week. Come on the power was off for 36 hours, and yes the results were a monetary loss ! But it was an accident. Did anyone go bankrupt ? But thats no reason to act like a bunch of ambulance chasing lawyers !!! Well all the class action suit people did was make the lawyers rich, you could have settled with the company personally and been good to go, but some people and business are looking for a lotto pay day and it’s sad to see, this is coming from a business owner that settled with them, I didn’t get Rich, I got what I lost and it was fine with me, well close to what we lost, they came in below but still they were nice enough to settle with us. Greed and all of its glory! Who will these people sue when their businesses, homes and families are displaced by the next hurricane? Who will they hold responsible for the damages they incur? Are they going sue God? Will they submit those losses to the Vatican in hopes the Pope might help expedite their claims with the Big Guy? It’s ridiculous I know, but then again, no more ridiculous than this absurd lawsuit and the imbeciles that filed it! There is such a thing as karma and it does come back to bite you with a vengeance! Lisa’s Pizza in Rodanthe is the ones who started the civil action suit. When PCL was actively compensating for ‘losses’. The unintentional accident happened by the company, but the damage was done by the people of the Outer Banks who jumped at the opportunity to gain by their misfortune. The people and the attorneys who profited should be ashamed. I am truly embarrassed I live here. GREED !!!! I guess the outter banks I grew up with is really dead !!!! That week reminded me what it was like in the late 70’s/early 80’s. No annoying people, crazy drivers or crowded surf. It will never happen again, but what a week it was with no traffic and the beach and all waves to myself. I am not minimizing the disruption to the businesses, but there was an upside for some of us. Suing PCL was a bad plan. There is no way anyone is going to get more than PCL’s offer to match prior years revenue for businesses. The lawyers are the only group that wins these cases. The exception was this time when PCL offered to settle with anyone willing to file the paperwork. I lost several electronic items that PCL reimbursed me for. In my case the items worked until the power cycling started. I did not bother to file for lost food or anything else. Keep in mind that PCL did not have to offer to pay anyone for anything, but they did the right thing and took care of those willing to file. I am curious who will determine the division of the pot of money other than broad breakdown of business and individuals. Any business needs to plan on losing a week or more per year in revenue because it happens and in the case of 2011 it was 30 days though it was at the tail end of the season and not July.